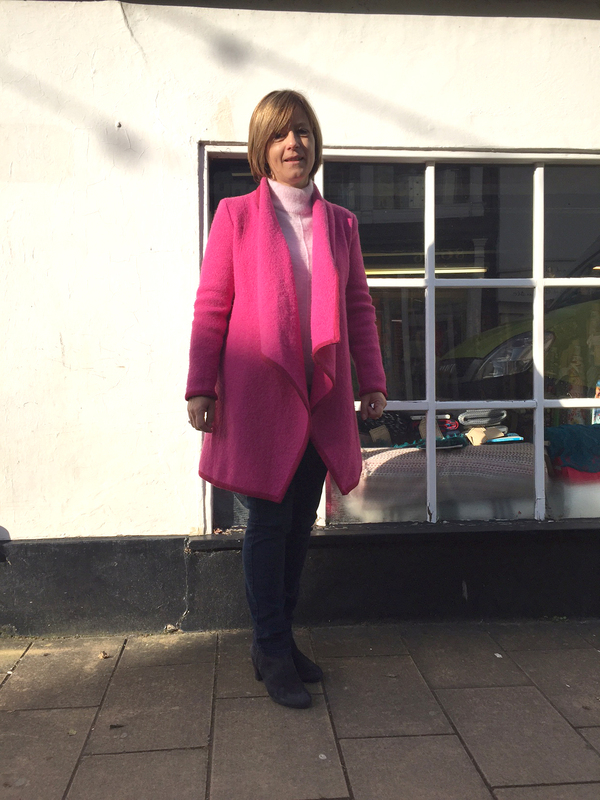 Julie cheering up the drab winter at the shop in her fuchsia pink boiled wool coat. The edges are bound with fold-over binding. 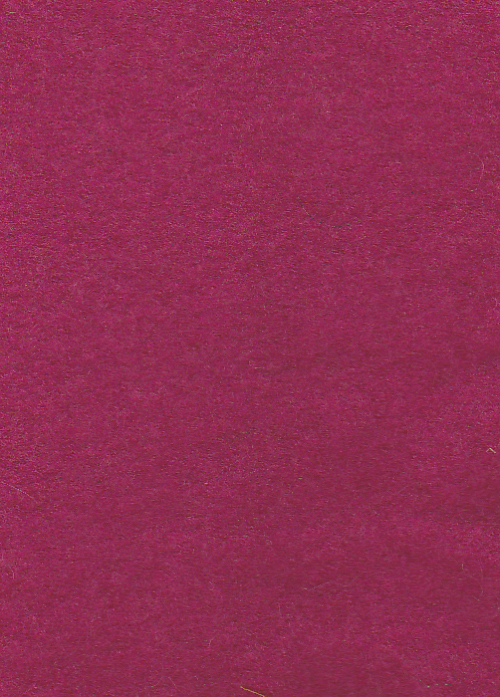 This coat is unlined, the boiled wool has plenty of body to it so it holds its shape nicely.